I did not get my first taste of fried green tomatoes until I came to live in the South, of course. I must admit that I was quite surprised at their flavor. They were not bitter, as you would expect a green tomato to be. 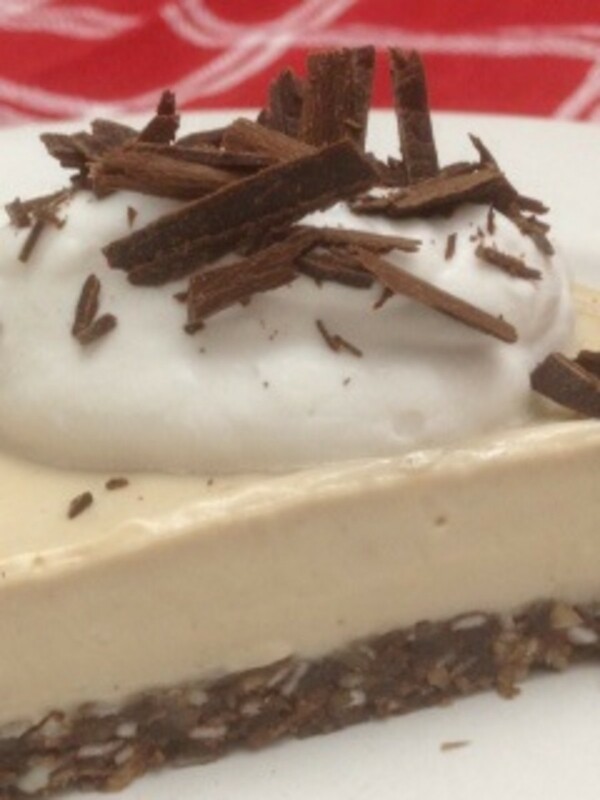 The process of cooking brings out a hint of sweetness in them, and they become tart and tangy. 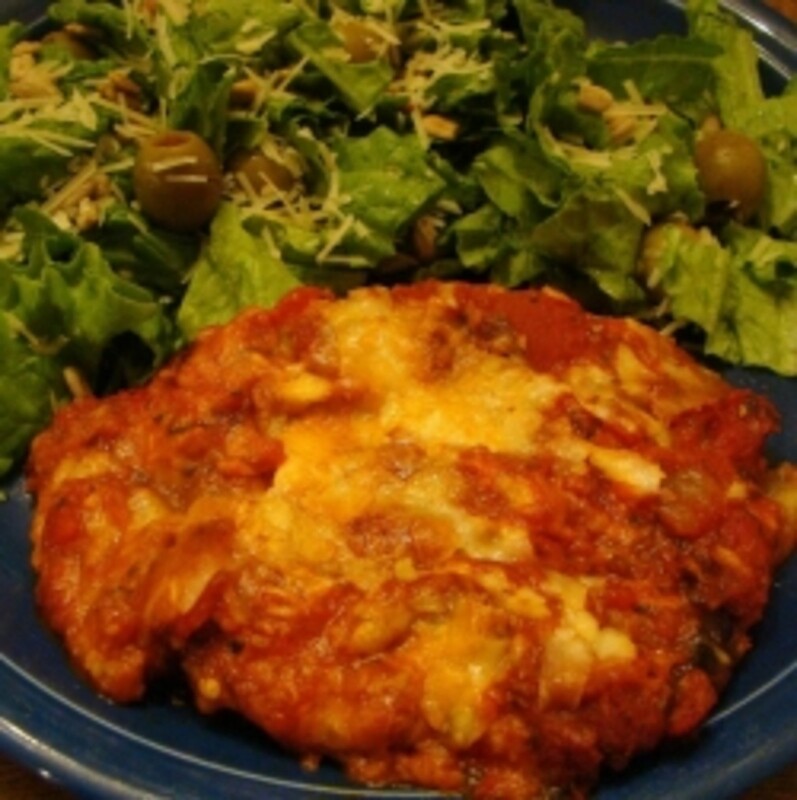 It is a very unique flavor, and when mixed with the crispy fried breading it is very appealing and distinctive. 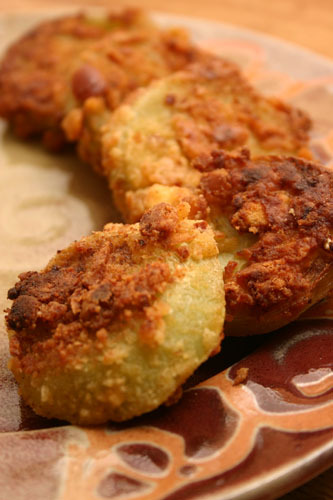 To offset the unhealthiness of fried foods, green tomatoes do have some redeeming qualities. One cup of green tomatoes has 70% the daily recommended intake of vitamin C, and they are also a good source of vitamin A. Use a healthier vegetable-based oil to fry. Make sure that the green tomatoes that you pick are mature (full-sized) but not yet ripened at all. They should be light green to whitish in color. They need to be hard and completely green, with not even a hint of pink or red, but they should be far enough along that they have reached full size and the seeds inside are fully formed. 1. 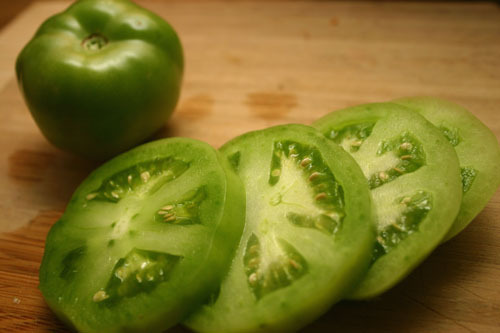 Wash the green tomatoes, remove stems, and cut them into rounds of about 1/4 to 1/2 of an inch thickness. The thinner they are, the crispier they will be, but thicker slices maintain more of that tart green tomato taste. 2. Beat the eggs in a small bowl, with milk. 3. In a shallow bowl or plate, mix the flour and cornmeal. Then add the ground black pepper, garlic powder, salt, and ground red pepper. Mix well. 4. Dip each green tomato slice in the egg-milk mixture until fully submerged, then pull them out and coat them with the flour mixture and set aside on a plate. 5. Fill the bottom of a heavy skillet with about 3/4 inch of frying oil and heat it over medium-high heat (medium on a gas stove) until a little flour dropped in sizzles and bubbles. 6. Carefully place the breaded green tomato slices into the oil. Fry the slices, rotate and flip them, until both sides are golden brown. When done, remove each slice and place it on paper towels to soak up the excess oil. 7. Serve with salsa if desired. (Here's a good fire-roasted salsa recipe) Enjoy! I've been frying zucchini anyway. Why not some tomatoes? Great hub! Great recipe, Melissa! 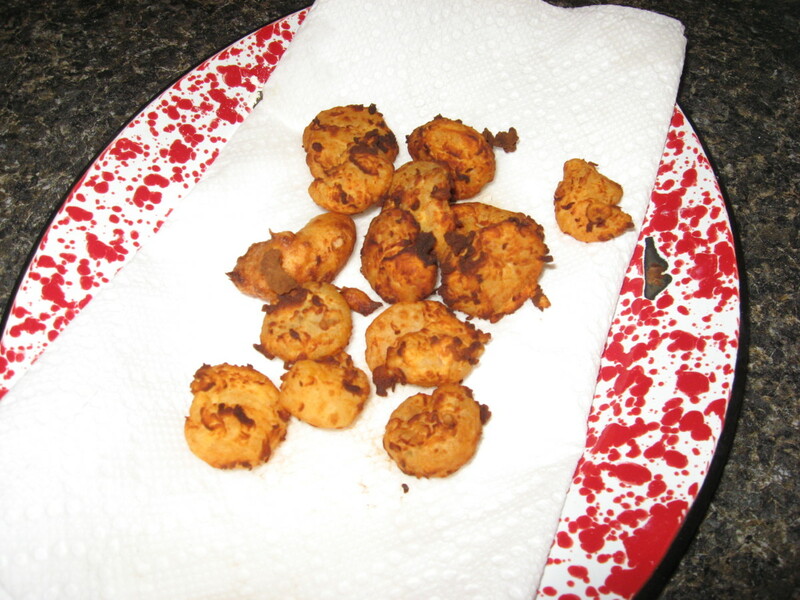 I'll add corn meal the next time I make these. I love NC as well.